The Sennheiser GSP 600 lives up the brand’s pedigree for sound quality but fails to seal the deal on other fronts. Although the long-running fight for attention between gaming tech brands like Razer, Logitech, HyperX, Plantronics and the rest remains a delight, it’s always exciting to see other brands take a swing at the gaming accessories and gaming tech space. More specifically, I’ve been really impressed with Sennheisers efforts here in recent years. The German company know their stuff when it comes to audio and while their reputation does usually come with a premium price-tag, the results they deliver usually end up living up to that reputation. Now, with their top-of-the-line GSP-600 headset, they’re primed to try and pull off the same trick in the gaming space. Unfortunately, things don’t quite come together as cleanly as ought to. To me at least, the GSP 600 feels like a product with all the right pieces in all the wrong places. 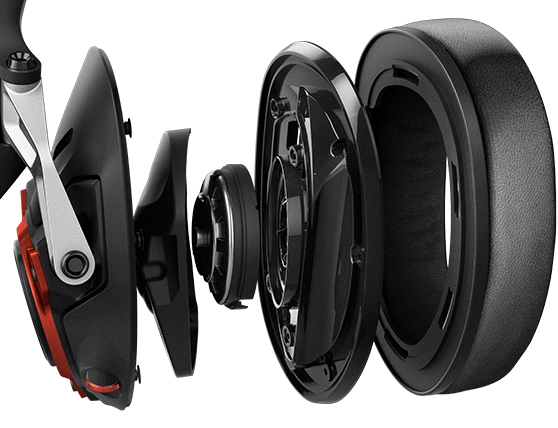 And with their competition quickly gaining ground on Sennheiser when it comes to the things that they traditionally excel at, that’s a shortcoming that’s difficult to give the brand a pass on. As far as the usual crop of gaming headsets go, the GSP-600 stands out like a sore thumb. Sometimes in good ways. Sometimes in bad ways. If you're in the market for a new headset, its definitely worth consideration but the high price and other drawbacks mean it won't be the right fit for everyone. The first frame of reference worth considering the GSP-600 within is how it compares to its companion piece, the GSP-500. As it turns out, there aren’t a huge amount of differences between the two headset. The GSP-500 is slightly more-affordable but the GSP-600 sweetens the deal with a few internal additions and technical improvement that promise to offer the edge when it comes to audio quality. The second context in which the GSP-600s design has to be considered is relative to the everything else out there. At $399, it’s probably one of the more expensive gaming headsets out there. With that fact in mind, you have to ask whether there’s any cheaper headsets that offer more comfort or more-customisable aesthetics. Still, as someone who tests and reviews a lot of those sorts of gaming headsets, the look of GSP-600 proved a breath of fresh air to behold. The build quality and material design here is as clean and polished as these things come, with the dial-controller for volume on the right earcup emerging as a standout detail. What’s more, there’s no customizable RGB lights or glowing neon lining in sight. 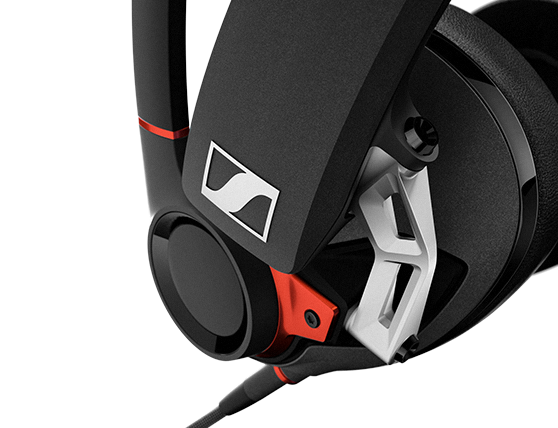 In line with its heritage and the broader Sennheiser brand, it just looks like a sleek and professional set of headphones. More than that, it looks like the exact kind of polished product design you’d expect from something priced well above the norm for gaming headsets. Those are the pros. Regretfully, there also a few cons that balance out the scales. Depending on whether you go for RGB lighting, the absence of it here might be a refreshing detail. However, if you are a fan of integrating your headset into your setup’s existing LED display, the fact that the GSP-600 doesn’t support doing that - even in some kind of limited capacity - is a definite drawback. The same can be said about the swivel-based microphone on the headset. 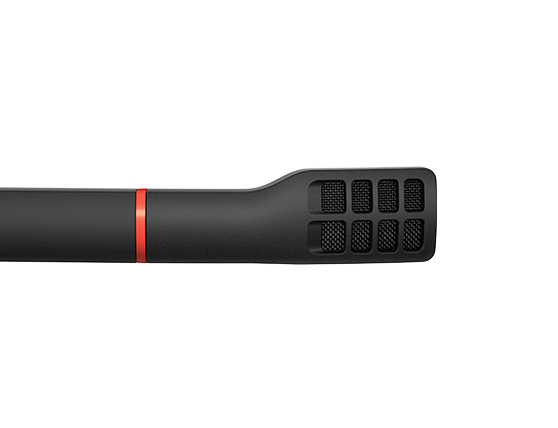 The quality of the GSP-600’s mic isn’t really the issue here. However, the design often proved frustrating to actually use. It’s decidedly inflexible and it often hung out a little too close to my face for comfort. This kind of thing isn’t that unusual in a gaming headset but the rigidity here did sting a little - since it gave me no options when it came to addressing or reducing the impact of the problem. On this front, I think I much prefer the more malleable designs found in other, cheaper gaming headsets. In addition to being a little uncomfortable to use, the microphone on the GSP-600 was also a bit of a sonic magnet when it came to picking up unnecessary background noises. Partially as a result of the above design issues, my experience of actually wearing and using the GSP-600 was a little worse for wear. Don’t get me wrong, the sound-quality on the GSP-600 is top-notch and exactly what you expect from an audiophile brand like Sennheiser . Regardless of whether I was playing Overwatch, BattleTech or Pillars of Eternity 2: Deadfire - it delivered an impressively crisp and primly balanced sound experience. If I had to highlight anything in particular here, it's the bass. Your mileage may vary here depending on what games you play. However, my experience, saw the bass emerge emboldened by the GSP-600's isolating fit, delivering tremendous grip and presence. Of course, for me, it didn’t matter what I played using the GSP-600. It was always a little uncomfortable due to the reality of the headset’s adjustable headband. More specifically, it was dragged down by the reality that while adjusting the headband itself is quick and intuitive, these adjustments didn’t really make all that much of a difference in terms of comfort. No matter how many times I adjusted it, it always ended up putting an too much downward pressure on the top of my skull. To Sennheiser’s credit, the earpads on the GSP-600 are super-comfy but they can only do so much when the rest of the headset feels like it's working against them. Again, it’s worth noting that your mileage may vary here. After all, this is my head-size we’re talking about. However, when it comes to delivering on the promise of increased comfort, I personally found the GSP-600 fell short not just other gaming headsets but even other Sennheiser headsets like their previous PC373D. The Sennheiser GSP 600 lives up the brand’s pedigree for sound quality but fails to seal the deal on other fronts. 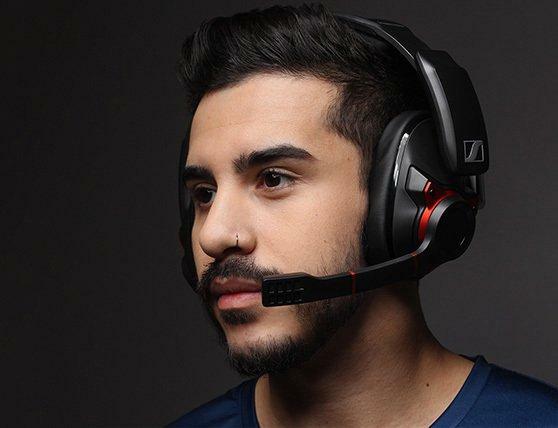 As far as gaming headsets go, there are more comfortable headsets out there, cheaper headsets out there and headsets that offer a more immersive gaming experience overall through RGB integration. That said, if sound quality is the main draw for you and your head-size plays nice with the product’s adjustable fit, you’ll likely come away pleased with Sennheisers’ GSP-600. Me? I’m hopeful that the German brand’s next attempt fares a little better when it comes to comfort. It’s one thing to have a headset that looks and sounds good. However, for gaming specifically, it’s got to feel good too.